Our last destination before jetting off to frosty Iceland, Sofia delighted and surprised us with its modernity and its culture. 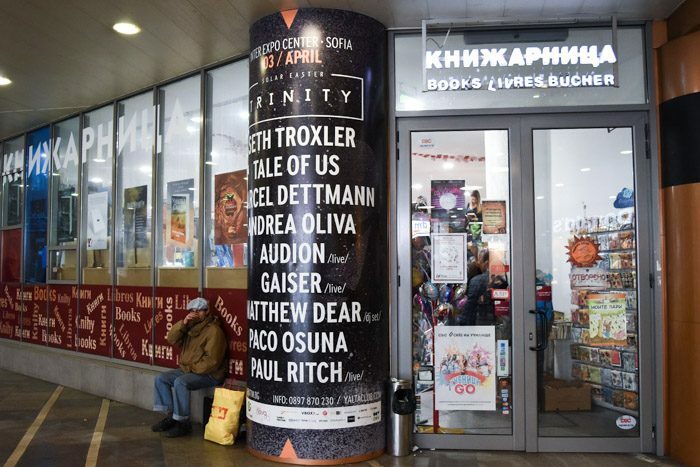 Rapidly developing and expanding to accommodate a growing population, the capital of Bulgaria provided many bookish locations and destinations as both the hub of local Bulgarian publishers and as a proud purveyor of all things literature. Exploring the city to write this Book Lover’s Guide to Sofia was such a joy. 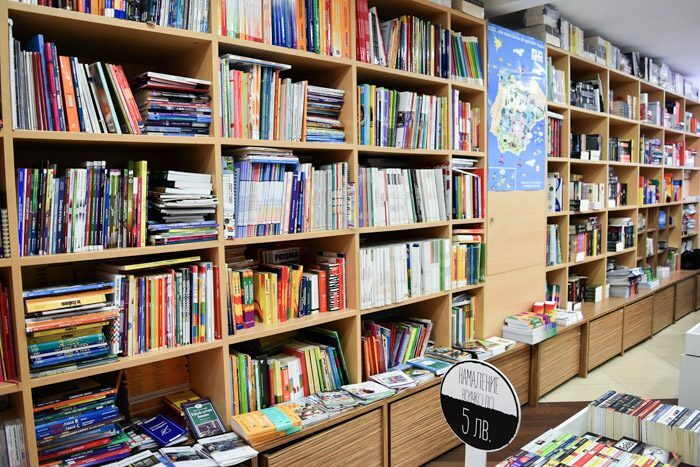 With a deceptively small storefront, Ciela covers a huge, multi-story area that contains a wide range of books in both English and Bulgarian. 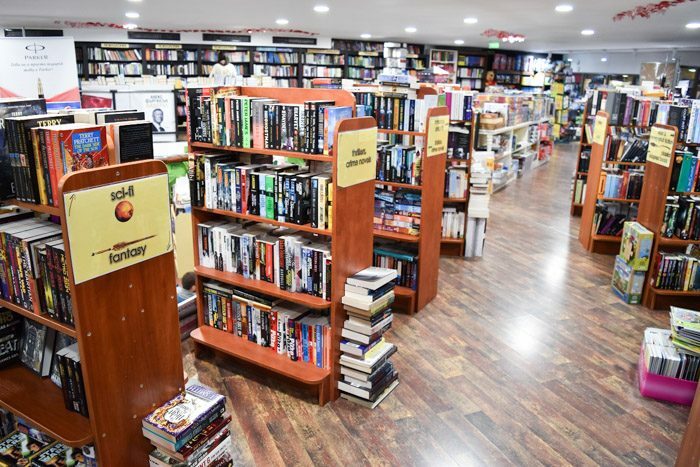 Children’s, non-fiction, scifi, fantasy, crime, thriller and more are available for browsing and purchase. And it’s easy to lose track of time as you uncover wall after wall of books hidden around corners! X-Factor: The book cave! 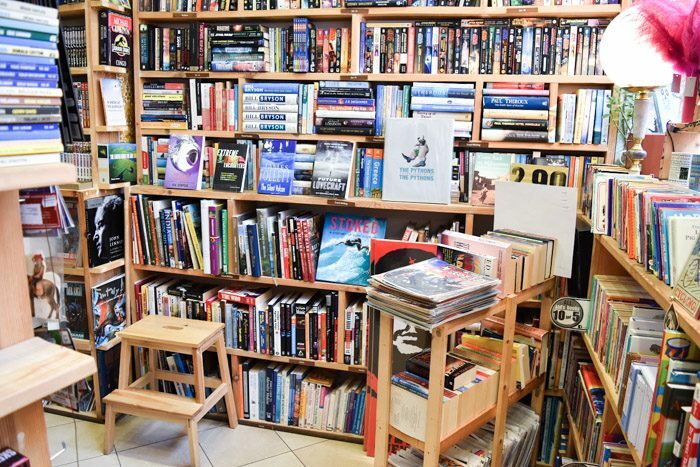 Hidden underground, an entire basement floor dedicated to second-hand books channels a distinct spelunking vibe. Pick your way through the narrow winding paths, duck under low ceilings and shimmy between floor-to-ceiling, triple-stacked bookshelves! Checking out the changing of the guard? Want to buy a book? Helicon is just around the corner! While this store doesn’t stock a huge range of English books, what selection they do have has been thoughtfully curated and should appeal to anyone looking for a quick read. They also offer a good selection of coffee table books, mainly on art and architecture, all printed in English as well. X-Factor: A great selection of classics, including a huge range of more obscure Penguin titles. One of the largest publishers in Bulgaria, Colibri was founded to publish Bulgarian writers and encourage the spread of Bulgarian literature to the rest of the world. 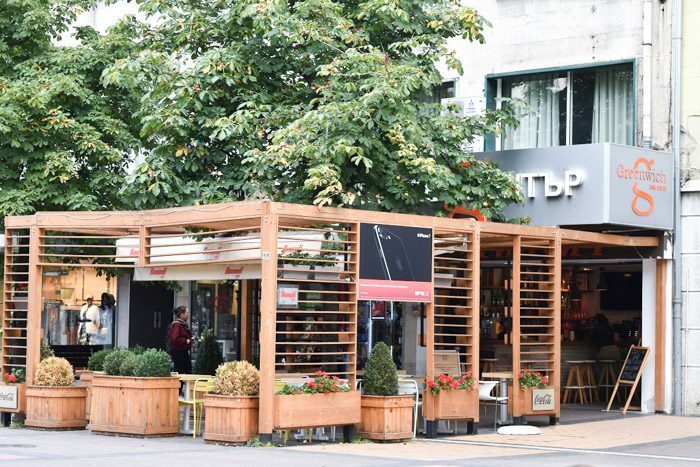 In addition, they also publish Bulgarian translations of international literature, and offer a wide range of house-published books in their retail store in central Sofia. I bought #LivefromSofia here, which is a collection of short stories with Sofia as the central theme/setting. You can read my review of this work here. X-Factor: The simple fact that they support and encourage local publishing and translations should be enough. But the staff themselves are a joy to speak to, as their passion really shines through! 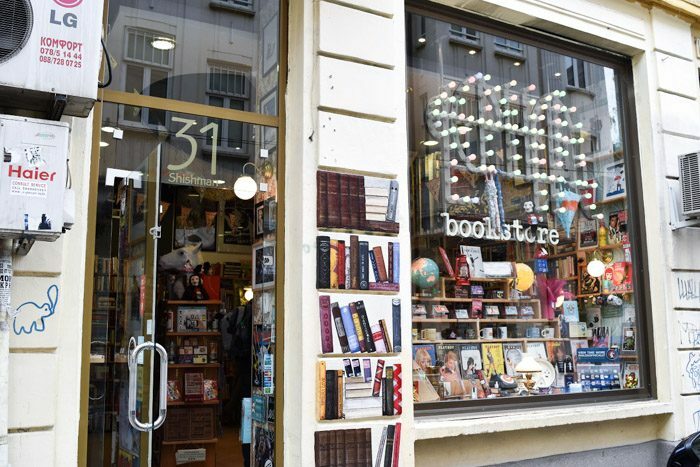 An adorable English-only second-hand bookstore, Elephant Books was definitely a bookish highlight of our trip to Sofia. 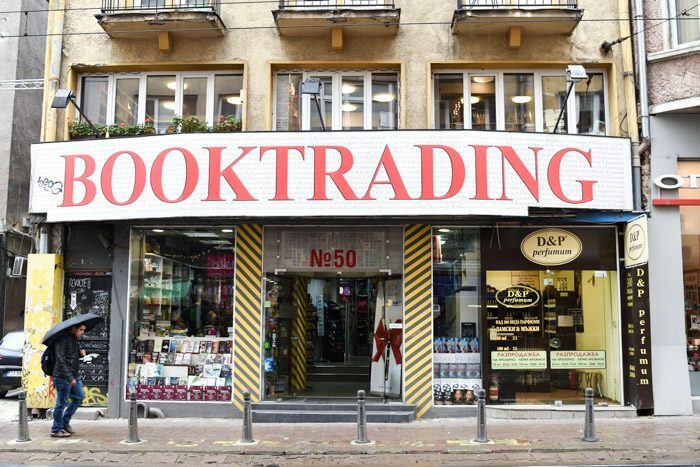 Packed to the ceiling with books, trinkets and bookish accessories, this is a veritable haven for English speaking bookworms in Sofia. There’s something for everyone in a variety of genres to be found here. And all appeared to be in good condition. X-Factor: Great comics and manga selection. As well as a great range of – as to be expected with second-hand bookshops – more obscure titles. Another Sofia bookstore with a great range of English titles. 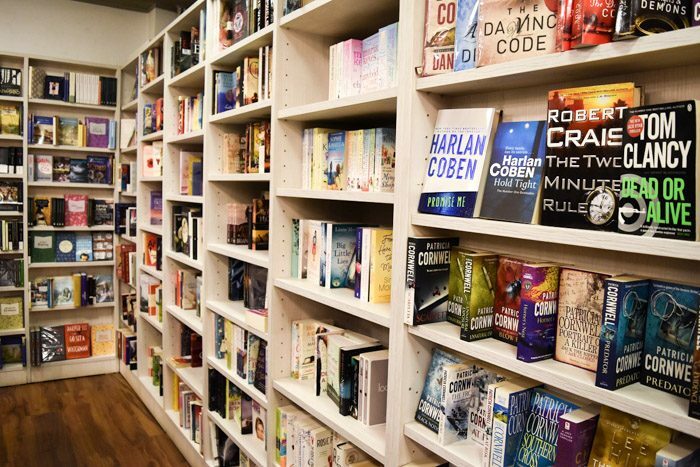 Book Trading’s focus appears to be mainly new releases across a wide range of genres. If you’re a scifi or fantasy fan looking for an English-language book, you can’t go past Book Trading. Their range of those genres is impressive to say the least. X-Factor: Almost an entire floor dedicated to bookish merchandise – mugs, tote bags, bookmarks, book covers and more make an appearance! A somewhat oddly-named bookshop, considering it’s not located anywhere near Greenwich, it is nonetheless a worthwhile stop for its café. Books and snacks, who can resist? Located on Sofia’s main shopping street, Greenwich is a great place to stop for a coffee and a book. Oh, and the English range is adequately large, too! X-Factor: Best range of English YA in Sofia. 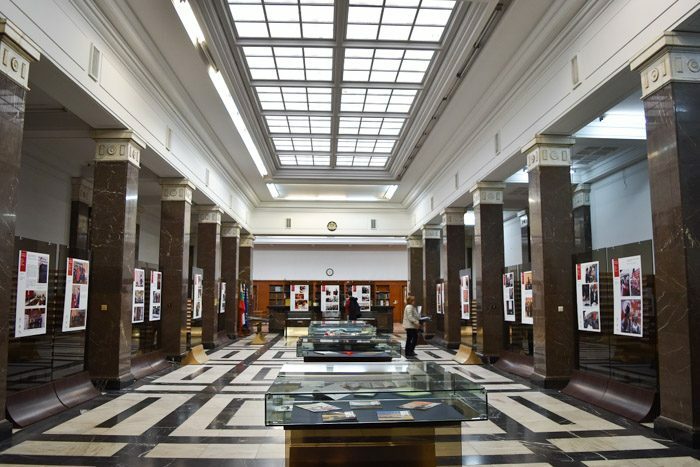 A large, classically-designed building, the National Library is a space for both temporary and permanent exhibitions, along with regular research. When we visited, there was a temporary exhibition displayed a cultural exchange involving Chinese – Bulgarian relations. There was also a permanent exhibition which contained old manuscripts and books, open to the public. Unfortunately there was no access to the rest of the library for visitors. But as lovers of all things bookish we recommend visiting just to peruse the building and the books. X-Factor: The old manuscripts are a joy to browse! 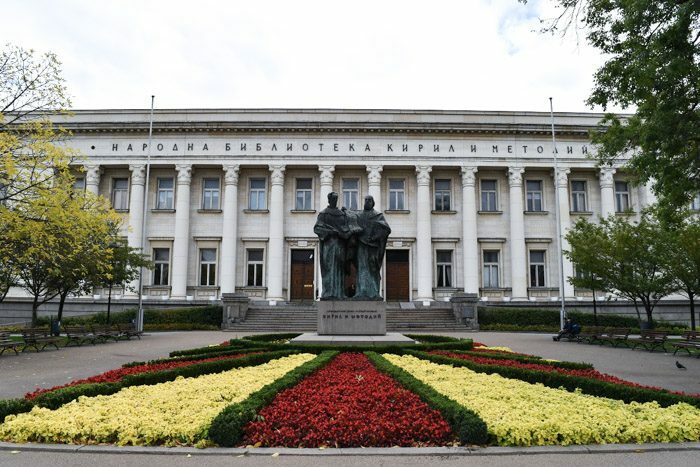 And that’s it for our bookish rundown, we hope you enjoyed our Book Lover’s Guide to Sofia. Our next destination is Reykjavik, the chilly capital of Iceland, where around 10% of the population are published authors! Check out our Book Lover’s Guide to Reykjavik. I am buying most of my books in Sofia at the small and a bit messy bookstore ‘Balgarski Knizhitsi’. 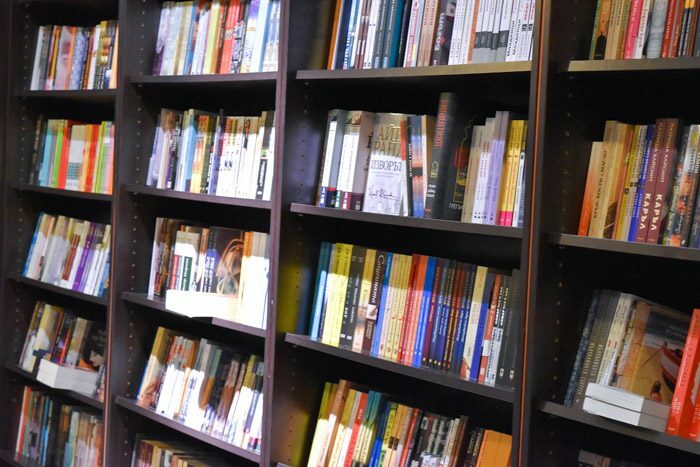 You can find titles there that are not available at the other bookstores, including foreign language books by Bulgarian authors (mainly belletristic). There are also several antiquarian bookstores around Slaveykov Square that have a comparatively good selection of foreign language books. I recommend especially the one in Gladstone Street (beside the restaurant Ugo), and the one in Graf Ignatiev Street (beside Booktrading). There is also a small and very nice book cafe “Fox”, also in Gladstone Street, and the Literature Club ‘Peroto’ in the National Palace of Culture. 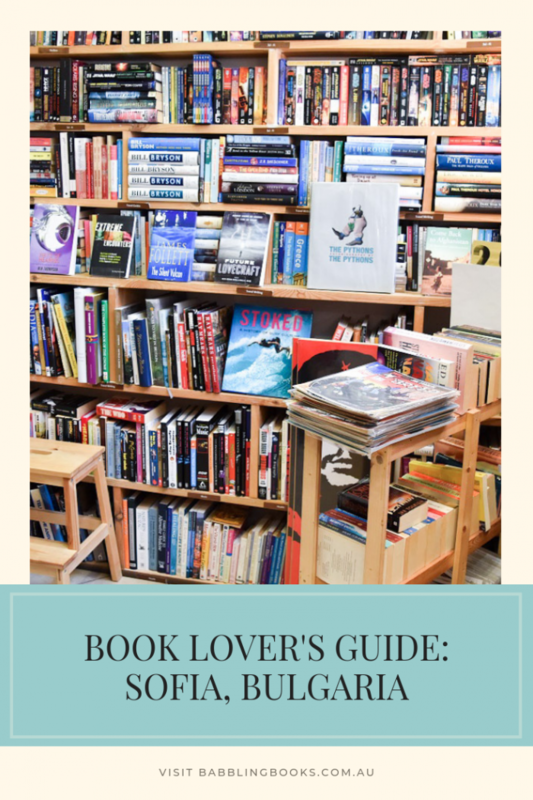 There are also a number of small, independent bookstores that are always worth checking out. I forgot: ‘Balgarski Knizhitsi’ is located near the park at the restaurant ‘Kristal’, near Rakovski Street. Ooh, thanks for your suggestion! We only spent a few days in Sofia, so we barely scratched the surface of its history and culture and would absolutely love to go back.